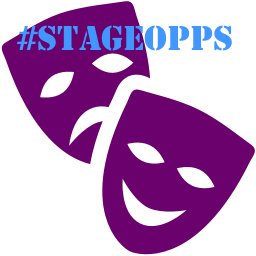 You can view #StageOppsMarch16 online by clicking on the links below. Seeking 10 minute plays, short subject plays/musicals (30-60 minutes), full-length plays (60-90 minutes), full-length musicals (60-120 minutes), and Variety Acts (cabaret, sketch comedy, magic, standup, and improv). MITF: Summer is one of the oldest and biggest theatre festivals in New York City. Our Midtown location is safe, clean, convenient, and close to the offices of industry members. We set ourselves apart from other festivals as we do not require application or participation fees. Any genre. (Short subject plays/musicals using guns as props will not be considered. Full-Length plays/musicals using guns as props are accepted). Word document or PDF file. Pages MUST be numbered and script must be in standard playscript format: 12 pt Times Roman; character names in the middle on their own line; line spaces between speeches and stage directions; indented stage directions; 1" margins all around. The Festival will take place at the Workshop Theater's Main Stage and Jewel Box Theaters, 312 W. 36th St., NYC. MITF: Summer runs from July 16 - August 7. The Short Play Lab runs Saturday, July 16 - Sunday, July 17 in the Jewel Box Theater. The Festival provides a theatre (the WorkShop Theater's Main Stage and Jewel Box), shared scenery (rehearsal cubes, a table, and 4 chairs), and front-of-house staff. Shows must be fully produced (off book!). To submit a project, mark it clearly "MITF: Summer," and let us know whether it is a full-length or short, a play or a musical, a variety act, a 10-min. play, or a staged reading. We'll curate the entries as they come in, so you can start working on them as soon as possible. Please send all playscripts and all Variety submissions (video reels, YouTube, etc.) to: john.chatterton@gmail.com by April 22nd with the special StageOpps code. We look forward to your submissions! Don't forget to email specialoppscode@gmail.com to get the special code for this month's Special Opportunity!